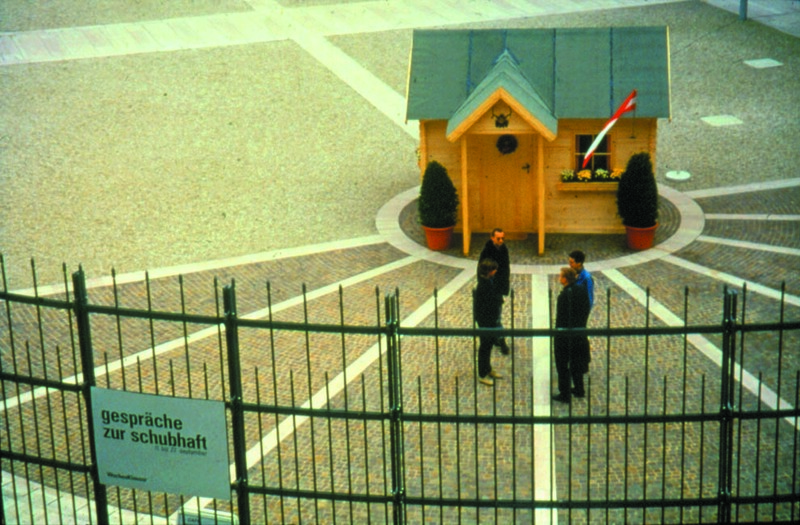 The Salzburg Police Detention Centre is one of the largest deportation detention facilities in Austria. Nevertheless, conditions in deportation detention are significantly worse than they are in any correctional facility. The group’s initial research for the project, in which relief organizations, counsellors, lawyers, detention inmates and former guards were interviewed, confirmed the rumours that were circulating about inhumane conditions. Many of the inmates were not informed of their status or of their rights. The group worked toward establishing a social service agency in the detention centre to coordinate the efforts of the various initiatives involved with deportation detention. WochenKlausur organized discussion groups with key representatives from politics, the media, scholarship, the church, police authorities, the Ministry of the Interior and relief organisations. 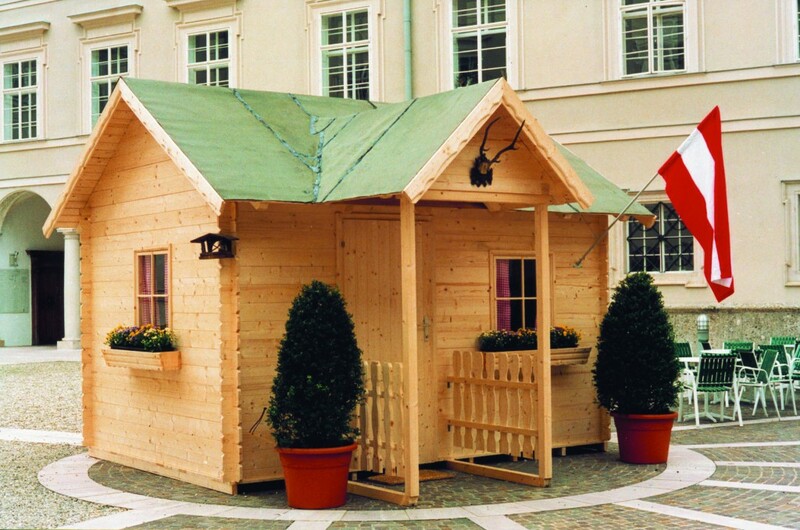 These discussions were held in a tiny cottage built especially for the purpose in Salzburg’s historic centre. The talks led the police chief to allow the establishment of a social service agency in the facility. Improve detention conditions for inmates. The Protestant Refugee Service agreed to oversee the agency’s permanent operation. Since then each inmate was assigned a volunteer counsellor, and thus it was possible to ensure that basic social, legal and hygienic services were available. After the police administration agreed to the creation of dayrooms in the detention centre, WochenKlausur found donors and sponsors for fitness equipment, table soccer games, television sets and radios as well as board games, books and newspaper subscriptions in a variety of languages. A telephone was installed, with the social service agency providing telephone cards according to need.